Bronze, limited edition of 50. 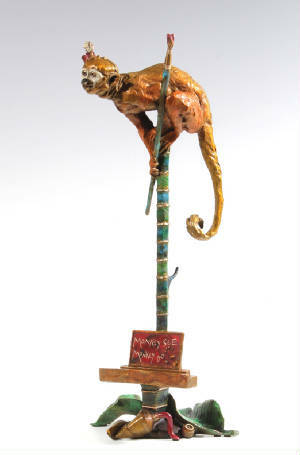 This artistic monkey has a brush in hand and a paint tube and banana leaf at the base. It comes with an art palette hanging on the back of the easel. It's a Squirrel Monkey sculpted life-size. Size of sculpture is approx. 17" high including pole. A small painting can rest on the easel. 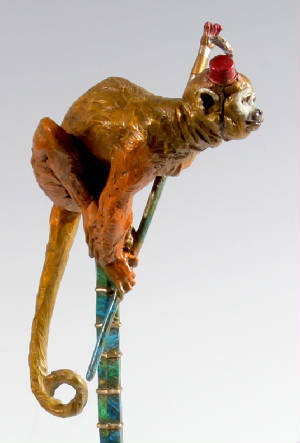 "While visiting the Phoenix Zoo this little Squirrel Monkey stole my heart as he attempted to help me sculpt. As I was sitting there on the ground with clay in hand he came up to me and poked at the clay. 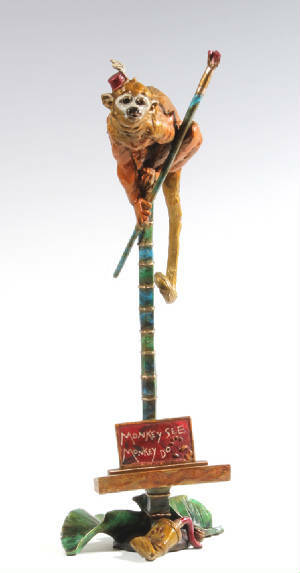 This whimsical bronze sculpture has a colorful festive patina. It's fun and happy. 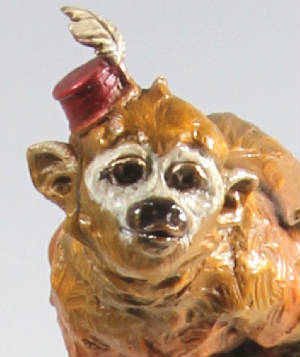 I hope you enjoy my Monet Monkey."